The sky is the limit for the young artists of Media Luna this year. 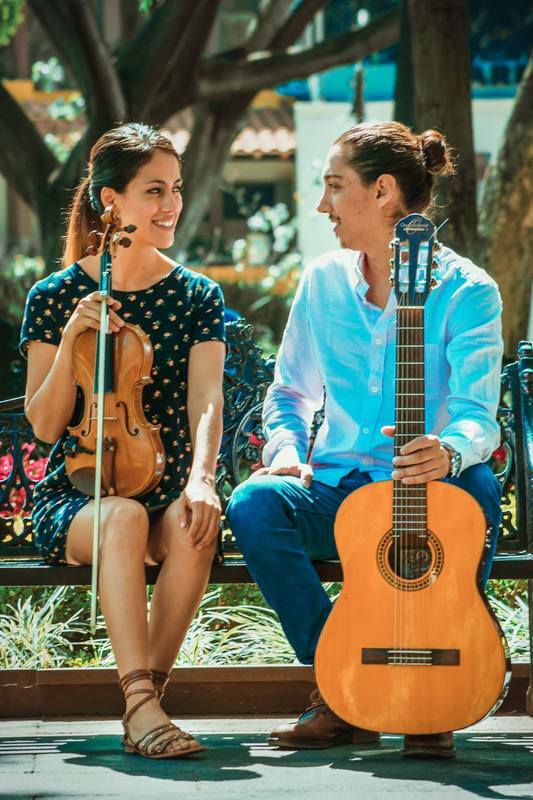 In addition to their extremely popular weekly show at Incanto Cabaret Theater here in Puerto Vallarta every Thursday evening at 7:00, they will be playing high in the mountains at San Sebastian del Oeste on February 23-24 at an overnight annual event held at an historic hacienda. More information on this event is on my website www.vallartasounds.com and their face book page. From there they will go on to San Miguel de Allende for a number of engagements. Lucky for us, they will return to Incanto for their Thursday shows each week so be sure you get your tickets early and don’t miss out. The talented young men of Media Luna are scheduled to play at Bellas Artes in San Miguel de Allende on the 15th of March! This incredible band so popular here in Puerto Vallarta is also in huge demand in San Miguel. If you are traveling to the Bajío or have friends there, you will want the details which you can find in the Media Luna section of this website. 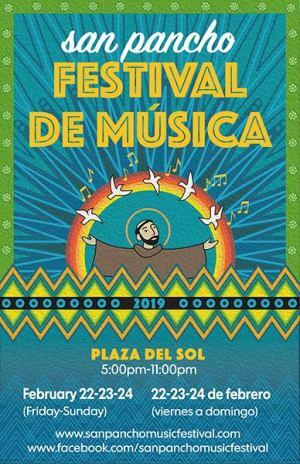 Coming up next week is a great annual event that, I understand, got its start in the private home of music aficionados years ago in the town of San Francisco (San Pancho), Nayarit, just north of Puerto Vallarta, and grew to the wonderful festival that it is today after 19 years. At this joyful celebration local and imported musicians as well as organizers donate their time to provide entertainment to the multitude of people who gather at the Plaza del Sol in San Pancho every year to celebrate the tradition of music in the area. The list of entertainers is not published until the beginning of the festivities on the festival’s website but I know my good friends of Tatewari will be playing their fiery flamenco music on the final day, Sunday, February 24 at 8:45 followed by Lobo (Wolfgang Fink) and Esaú Galván playing masterful free flowing improvised flamenco guitar. The music begins daily on the 22, 23 and 24th of February at 5:00PM and lasts until 11:00PM. Some chairs are provided but organizers recommend you bring your own if you want to be guaranteed a seat. There will be food and refreshment stands (both alcoholic and non-alcoholic) and also CDs and other offerings for sale. The event is free to all comers so don’t miss out! San Pancho is also a lovely place to visit. There is lots of good music on the horizon for March. Lobo and Esaú will return to Incanto for an encore of their Sold Out January show on March 2. Their first show was extremely popular so now is the time to make plans for this one as tickets will go fast. It will be held in Incanto’s beautiful cabaret theater located at Insurgentes 109, next to the bridge crossing the River Cuale in Puerto Vallarta. The show will begin at 7:00PM and you can purchase tickets at incantovallarta.com or at the box office. If you don’t know already, Lobo an already celebrated flamenco guitarist from Bavaria and Esaú met many years ago when Esaú, just a boy at the time, sought his advice on some tricky guitar issues and Lobo helped him out, really jump starting Esau’s career encouraging him to study flamenco guitar. He is now a considerable guitarist and the two remain good friends, performing beautifully together to the delight of their audiences. This will be a spectacular opportunity to hear these two maestros charm with their innovative and often surprising music. The two will then go on to perform in La Cruz de Huanacaxtle on March 3. (Tree House Bar, Coral 66, 7:00 PM) See venues on this website for details on Tree House Bar. The group Tatewari formed twelve years ago by Esaú and his childhood friends from La Cruz de Huanacaxtle Dani Márquez (bass) and Alberto Ramirez (guitar) and completed later on with the addition of Canadian Sonny Davis on Cajón, will have the last of their extremely popular La Cruz concerts for the season on March 11 at 7:00. Word has it that they will also have some marvelous concerts at Incanto in April so stay tuned from more on that. Their very popular 4th CD is out and just full of beautiful original pieces! Tatewari will also be featured at a dinner/show at Babel Bar on the evening of March 9. Nacho Flores and Magali Uribe Wonderful Duo! Summer season in Puerto Vallarta is wrapping up and venues are gearing up for the fall/winter season. Babel Bar on the Rio Cuale has presented some great music in its outdoor garden area next to the river for the last several months. 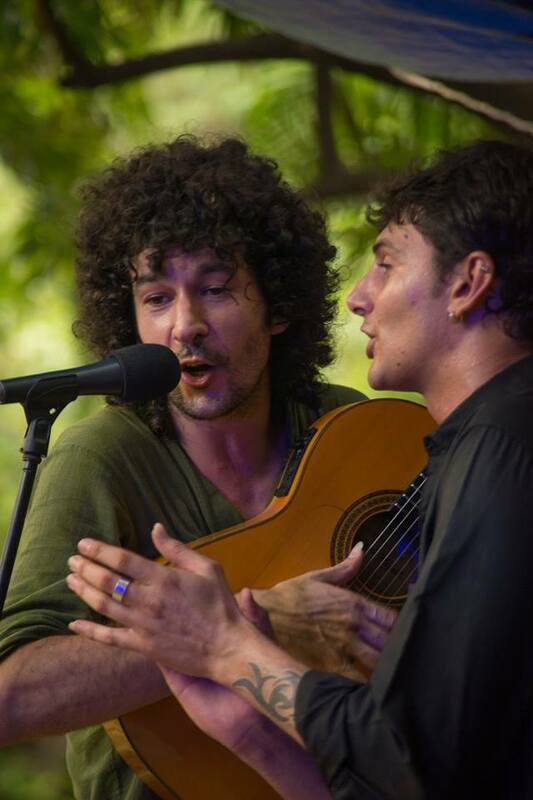 Spanish guitarist Diego Mateo and Nacho Flores a maestro on many wonderful string instruments, both composing the talented group Moruno, along with Santiago Martin Spanish vocalist and guitarist and Dani Choy on percussion have brightened up many Saturday afternoons. Eduardo Leon and Zoe Wood have joined them with gypsy guitar, voice and original compositions. The weather seems to have held out for them and everyone has had a great time. Just down the island at the Insurgentes bridge, the restaurant/bar/theater Incanto has offered a very nice summer program, just finishing up with Lady Zen, The Greater Tuna, Gypsy Rumba—great shows in the theater, and musical presentations by Zoe Wood, Eduardo Leon, Santiago Martin and his group, Red Suitcases, Joby Hernandez at Open Mic and of course Pearl’s Bingo afternoons and Denis Crow’s late night sing alongs in the Piano Bar continue. They have kept us all entertained and cool in the heat with their air conditioning and dry and out of the rain on stormy nights. Cuates y Cuetes down by the pier in the Zona Romantica featured Moruno Sunday and Tuesday evenings and the sought after flamenco group Tatewari on Wednesday evenings all summer long along with daytime performances by Esaú Galván flamenco guitarist on Saturday at brunch time and Nacho Flores and Magali Uribe on Wednesday and Thursdays. Moruno also played on Fridays for lunch. All great talents and wonderful shows. Our hardworking empresarios are busy now lining up the wonderful shows we will enjoy this winter. 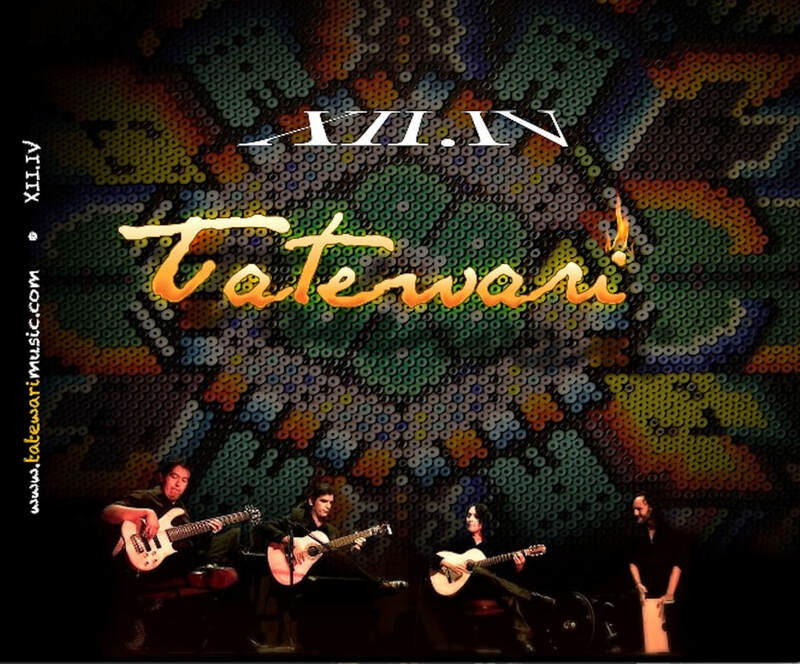 I know for certain we can expect some great entertainment from the fiery flamenco group Tatewari. Incanto will present the release of the groups new cd 12.4 (4th cd in 12 years playing together) in December with a wonderful show including new music (all original compositions), guest artists, flamenco dancer and accompaniments. In their home town of La Cruz de Huanacaxtle they also have 5 tremendous concerts lined up for the season. Los Bambinos return to their restaurant/bar in October with great food and fun music that entertains loads of regular and new fans all season long. 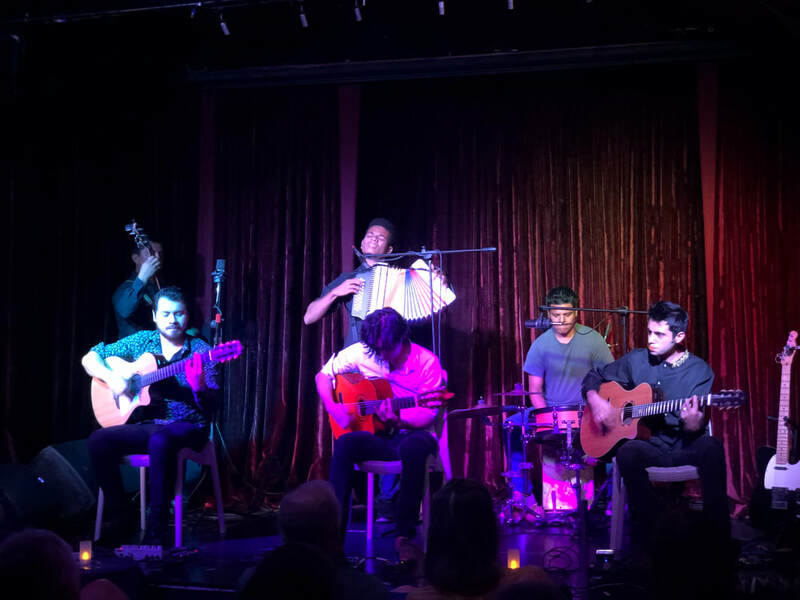 The extremely popular guitar group Media Luna will be back from San Miguel de Allende at Incanto for the season starting in December! They have many new sounds in store for us as well as the pieces we loved last year. They are excited to return! Cuates y Cuetes will fill out their calendar including our very favorites like Tatewari and Moruno and new groups as well. We will keep you informed. River Cafe will continue to feature Raul Simental with Oscar Terrazas, Bob Tansen and other guests. The fall/winter season begins in October and builds up as the months progress. October, November and December are great times to visit as the full onslaught of winter visitors has not yet arrived and one has cooler weather and a somewhat quieter period to enjoy the tranquil and yet exciting Banderas Bay area. ...Yo canto su elegancia con palabras que gimen y recuerdo una brisa triste por los olivos. ​Are you confused about the distinction between gypsy jazz and flamenco? Well you are not alone. With the proliferation of groups playing music defined as gypsy jazz, gypsy rumba, flamenco, which we love listening to, we may be scratching our heads wondering what the difference is if any. I recently read a very informative and well researched analysis of this question by Ronald Lee, a Canadian expert on the subject which I will try to paraphrase here. Lee is a Rumani translator, author and educator. (http://kopachi.com/?s=roma+flamenco). My question was “what is the difference between Gypsy music and Flamenco. Mr. Lee, in his essay Roma and Flamenco, Myth and Reality, tells us that the myth that Flamenco derived directly from Roma music is somewhat misleading. First of all, during the Moorish rule of what is now Spain ending in 1492, Cordoba was an important center for music and the music from many areas of the Near East, Africa and India was brought to the area by music students from all over the world. This musical input was probably integrated into what was then the folk music of the area. The Roma people are not seen in Spain until the very end of the Moorish period at the earliest. Over the years, the Romas had moved from India, through Eastern Europe and eventually into Spain. According to Lee, the instruments used during these periods as well as the rhythms were quite similar and the integration of influences gathered along the journey produced the music brought by the Roma people into Spain when they arrived in the late 15th century. They brought with them their music which merged into the local folk music at the time and became what is today known as Flamenco. Early on Roma people lived freely in various parts of Spain but due to an edict by King Ferdinand V and Isabela I, requiring conversion to Christianity and cessation of nomadic practices which was eventually strongly enforced by Carlos I in 1593, those Romas who survived and remained were concentrated in gitanerías in Andalusia, specifically in the caves of Sacromonte. By the way, the term Flamenco seems to have derived from the fact that the many Romas participated in the wars against the Moors as well as the Flemish wars of that earlier period. Those who returned from the wars were sometimes referred to as Flamencos and the music took on the name. Lee asks the question if Flamenco music would have existed if the Romas had not come to Spain. His answer is that it would have been very different. Lee describes the evolution of Flamenco as we know it today in its more sophisticated form. The Flamenco music that we hear in concert halls today often follows this pattern. However, many modern interpreters have travelled and studied with Gypsies in Spain, specifically Sacromonte, and with those in Southern France (think Gypsy Kings) and from this exposure comes a more authentic Flamenco puro. Flamenco music often has a very melancholic, tragic feeling, somewhat like the Portuguese Fado. This was especially true in its early form when canto (voice) and then dance were placed higher in importance than the guitar which was considered an accompaniment. The 20th century brought the rise of the importance of the guitarist as virtuoso and popularity of the more spirited sound of Rumba, the music having traveled from Spain to Cuba and back resulting in a more festive rhythm. Django Reinhardt and others played a big role in popularizing the music in Europe, followed by the Gypsy Kings of the current period. Hopefully some of this information helps to clarify our confusion regarding definitions. However, it is not necessary to understand all of the history to enjoy the marvelous sounds being produced right here in Vallarta following the Flamenco tradition. Happy listening!